It used to be really simple to get a VPN for Mac. You’d just go and sign up at Witopia.net and you’d get an inexpensive and reliable VPN with nodes all over the world. 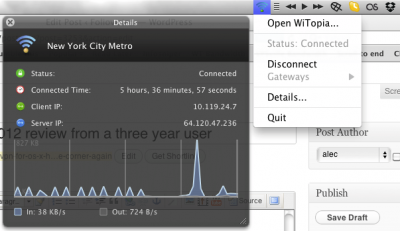 Witopia would work with the built-in networking inside your Mac, specifically PPTP protocol. Here’s all the reasons you might want a VPN. The problem was Bill Bullock was obsessive about our security/anonymity. So the customer portal didn’t really work or hardly existed. Support was over email and a bit hope for the best. Your email address had a single subscription. Worse yet, when you would go to renew your subscription, you had to create a new account and login. From the beginning there were two services: Personal, which always included PPTP and now includes ipsec and L2TP and Pro which was twice the price and included OpenVPN. Both are secure but Personal is more easily blocked by governments or corporations as they can usually detect the protocol. Witopia’s upgraded SSL service was always a bit of a crapshoot. For years you had to fight Tunnelblick (one of the nastiest pieces of open source software out there, which requires advanced networking knowledge modifying a text file to get anything done: it defaults to not working and makes you move text files all over your computer, authorizing them each time you do). Then came Viscosity which worked a whole lot better. With your Witopia VPN you got a free preconfigured Viscosity client. Then something went wrong with Viscosity. When you update Viscosity to keep up with Mac OS X, it’s another crapshoot if your settings will carry over to the next version. So as someone who tried to buy three licenses last year (Personal x 2, Pro x 1) for my company and ran in circles for weeks with absolutely silly suggestions from Witopia on how to fix my configuration, I can tell you the dream was over, the shine off of the hood. With the obliging help of Witopia’s owner Bill Bullock finally we managed to get a single one of the personal accounts up and limping. Our ideas of using VPN regularly in the various departments at Foliovision went down the tubes. We cancelled the other two and got on with our lives. OpenVPN on a small VPS turned out to be an even bigger catastrophe. After a whole day of programmer time settting it up, we were able to eke out 2 KB/sec performance. When Witopia is working, you are looking at anything between 1 MB/sec and 8 MB/sec bandwidth up and down. It’s not the 100 MB/sec down and the 10 MB/sec up we have on our connection but it’s not 2 KB/sec. So with clients to serve and lives to live, we more or less didn’t use VPN except in emergency. For reasons of my own, I was using VPN via Witopia a fair amount in the last week. All was well until my VPN account wouldn’t connect today. Witopia happily enough has live chat support now. I lost hours with them today so you don’t have to. Why did my Witopia VPN die? Witopia created a customer portal and consolidated everyone’s account history and orders. When they consolidated the orders some accounts clearly died. Including one of mine as it was a courtesy account offered for last year’s nightmare. Tip: don’t kill your courtesy accounts early. Witopia’s ability to consolidate our orders years later begs the question how private were our accounts in the first place if Witopia could consolidate them after the fact. The new portal sounded great. One problem: it was impossible for me to log in with my old username and password. No problem. I’ll reset my password. No luck: No such username. Joe suggested I reregister. No problem. Wait yes there is, Username already exists. Joe suggested I create another account using another email and then consolidate them. That sounds like a lot of work and lots of chances for misunderstandings and broken accounts. No, I want access to my existing account. Tara comes online (last year Tara was the queen of alternative protocols who led me around an enormous emerald coloured garden of irregularly working VPN). Tara remembers me. A bit awkward. Like an affair gone wrong. Happily she doesn’t hold a grudge and we get to work. Fortunately, Tara is able to get a link which allows you to login to your account and reset your password. Remember Witopia is not access to your data. Witopia is only access to your VPN accounts, so security is important but not paramount. 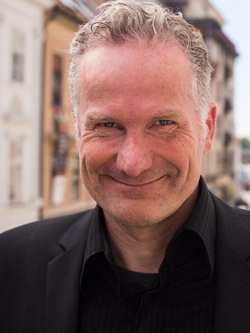 If someone sneaks into your Witopia account, the most they can do is cancel your VPN without asking or change your passwords on you or use your VPN surreptitiously for their own purposes (actually that could get you in trouble if they did illegal things while using your account: but the same applies to your home broadband connection). So now I’m in the portal. There are all of my orders for the last three years. Hurray. On the two active orders, there’s 412 days left on one and 46 days on the other. The other is also listed as cancelled, with no options for checking data usage, resetting password or assigning the VPN to someone else. Looks like portal consolidation this week killed off the courtesy account. Sloppy programming. Thanks sloppy Witopia programmers, you’ve just stolen two hours plus of my life getting all this working again. Tara asks me to install Witopia software and use that to access my VPN. No dice. With this track record on working software, there’s no way I’m letting Witopia’s direct installer get at my network settings. I have work to do this week. Remember Tara loves the alternative protocols. So I set up all of the different OS X VPN protocols following her instructions. Alas no protocol, PPTP, ipSEC, l2tp will work. I give Tara the password for my main account (not the courtesy one) to test herself. Tara disappears for about seven minutes. When she comes back she announces that the account works just fine and it surely must be a local problem on my end. I try to reconnect with a couple of the protocols I’d previously set up and tested unsuccessfully. Bingo, I’m on. Yes, Tara, but I haven’t changed anything in my settings. All that happened was you went and worked on my account with a tech. Whatever Tara and the tech did while she was away did manage to reset my Witopia account and get it working. The second test was on an account with send all connections over VPN so I lost my connection to Tara. Taking the occasion to test while logging on an on, I ran a battery of tests using SpeedTest.net which is nice enough to give both ping and transfer speeds. I was feeling optimistic after seeing all of these protocols work so I decided to give Witopia’s custom built software a chance. The download is quick and the installer opens up automatically. Witopia’s software gives a nice blue icon like airport in the menu bar. It takes up less space than Apple’s built-in VPN. I tried the built-in L2TP and got some surprising results. I’m still using this connection. Using either built-in or Witopia client software is fine. If I had to do it again, I’d probably just stick with OS X’s built in protocols. I’d use PPTP as it tests out very fast. If you want to use a lot of locations, then Witopia’s VPN software might be for you as you won’t have to build all the locations by hand. When I got back to my chat, Tara had gone home. A gentleman named Shirin had taken her place. We spent a lot of time trying to resurrect the dead account. The main OpenVPN connection is very fussy. It wouldn’t work with either the Witopia VPN client nor with Viscosity. Once installed, to reinstall it you need to remove several .kext via terminal. Viscosity which did work at one point, won’t anymore. The updater won’t update Viscosity and you have to manually find and reinstall all the certificates. What finally worked was uninstalling launch2netpremium and then doing a hand search for all of its files (a nasty respawn filled networking logs to the point that it was impossible to tell what was happening with Witopia). Next step was to install and reinstall the Witopia client with reboots. The whole affair required three reboots to work and deleting kexts. You don’t want to do this. Viscosity still won’t work but for now with the Witopia client I can get on OpenVPN SSL internet. I spent over three work hours painfully troubleshooting this by hand. Effectively Witopia stole $500 from my company while I did this unpaid work. All I got out of it was this article. Don’t you be so foolish. To be honest, I would not recommend a Witopia Pro account. The amount of time you will spend fighting with software and with cryptic errors just will not justify the small increase in speed and security which OpenVPN brings. Not only that but a WiTopia Personal VPN account is just $40 (renewal) or $50 new account, while a Pro VPN account is $70/year and will cause you to lose hours with unnecessary tech support. If you are in China or Iran or some place where you really need OpenVPN, go ahead and spring for it. But be prepared to spend a lot of time troubleshooting. Here’s a nice historic comparison of Witopia and HotSpotVPN with interviews with both company owners, Bill Bullock and Glynn Taylor. Here’s why you might want a VPN. Answer number one: you are travelling and need to be sure your web access is not being logged (at least only by your VPN provider). Answer number two: you need access to another server from a fixed and known IP. It’s possible with a VPN. Answer number three: you want to watch Hulu or listen to Mog or Spotify while outside the United States. If you don’t use Facebook, your one choice is Mog. Answer number four: you need to sign up for some papers or service from outside your home country. I wasn’t able to complete a birth certificate request from Europe until I came in via VPN and made the order via VPN. 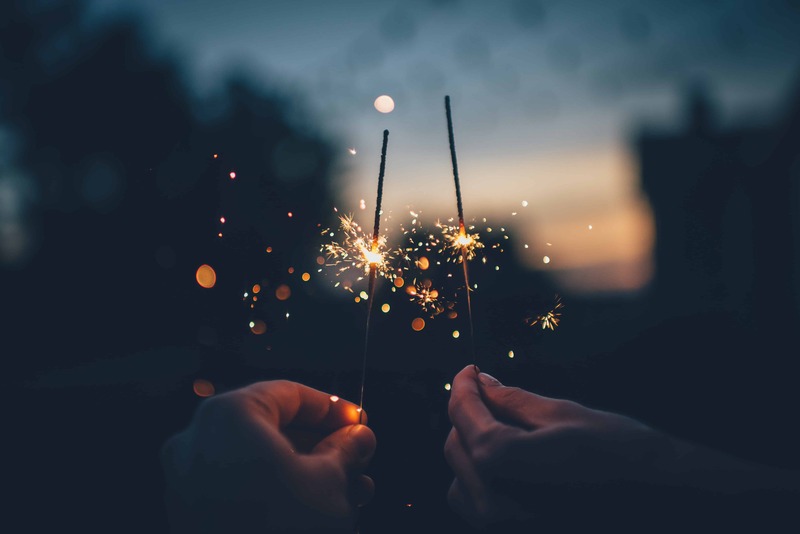 2017 Year in Review: a Look Back And New Year’s Resolutions. I don’t understand why you would go through all this trouble. The built-in VPN on OS X and OS X Server are very reliable and easy to setup. Squashed software even built nice a GUI for OS X. If a portal helped with configuration, that might be OK but apparently it doesn’t. Am I missing something? OS X does not have OpenVPN built in. You have to use either TunnelBlick, Viscosity or the WiTopia client. I just use the built-in VPNd server in OS X. It supports PPTP, L2TP and is extremely reliable and easy to setup. Just my 2 cents. The built-in VPN client works well with this server and is easy to setup as well. Windows clients have a harder time because of traversing the NAT, but there is a fix. Though the best fix is to dump Windows. Then there’s always Hamachi, for people too stupid to enter an IP Address and 2 passwords. I’ve setup little old ladies over the phone with this method. My 2 Cents. I’m not sure if we are on the same page about what WiTopia does. 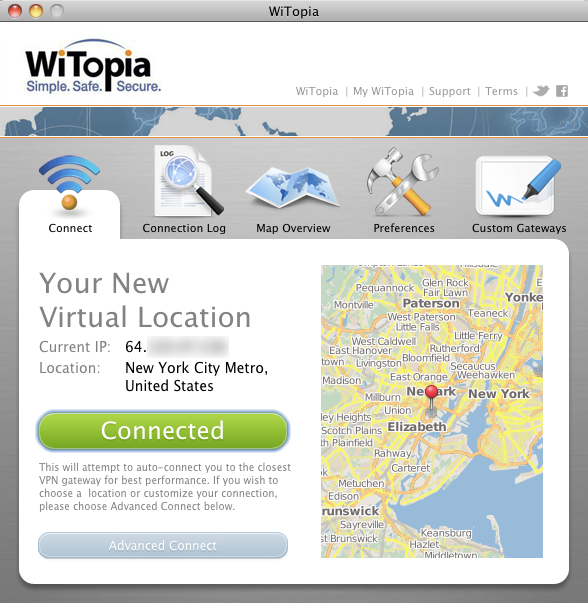 WiTopia provides VPN nodes all over the world. Their software is a VNP client, not VPN server software. Does not the OpenVPN server you are talking about allow access to your own computer from outside rather than the ability to access external VPN nodes? 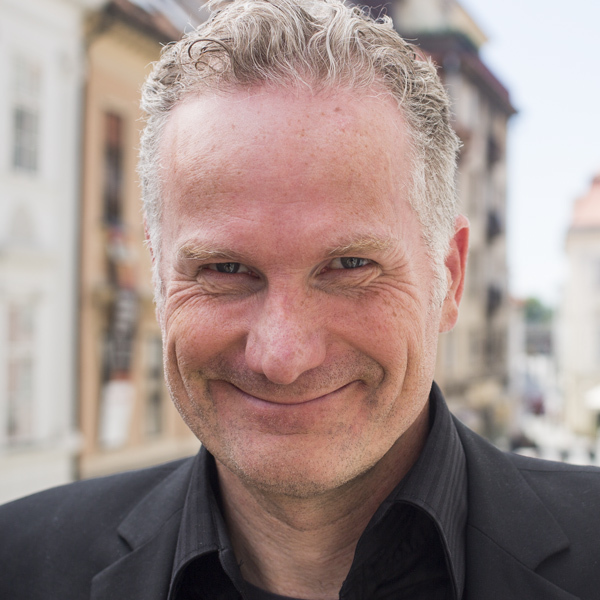 I’m a bit surprised at the problems that you’ve been having with Witopia. I’ve been a pro customer since July (?) of 2009 and it’s been very smooth sailing. Tech support has been excellent. The only issue seemed to be a conflict with launch2net back in January of 2011 when I was traveling in Jakarta. That was never resolved to my total satisfaction. I do agree that Witopia’s speeds could be better but my ISP provides me with 8-9 Mbps so it’s not that big of a deal. In case you think that this is a plant by Witopia, you can find my posts about both Witopia and launch2net on the MacResource forum and MUPromo site, respectively. I see Witopia so complicated even today, I really don’t get why they can’t make it easier for customers. I’ve been their customer till 2009 then I discovered Astrill. It’s just like day and night, totally different story. Astrill is so easy to use and just works always. They have plenty of servers, probably more than witopia. The speed is also better. You can try their 7 days free trial and see yourself what I’m talking about. I’ve been using Witopia for myself and my clientele since 2008, both for Macs and PCs; never had a problem getting any of the OpenVPN clients suggested and/or provided by Witopia on either platform: From PersonalVPN on the PC side, to Tunnelblick, Viscosity and their current client on the Mac side. On both platforms, as well as iOS devices, I have been able to use the OS built-in PPTP and L2TP/IPSec clients without a problem either. Speed, in my case, seems to be more an ISP problem than Witopia’s. Best I can get around here is 8Mbps if all the stars are aligned just the right way ;) Usually just around 3Mbps! Their customer portal is a different story, haven’t been able to log in there at all –I just open a new account when needed. Envy your patience, though! I bought this “VPN lemon’ from Witopia less than one week ago. My system is Win XP Pro SP3 and Witopia just does not work as advertised. Very nice web site but it is mostly BS. Spent the last week, near on 8 hours a day and sent a gazillion emails to their “tech support” = “two guys in a shed somewhere in the Pacific” and all I got back, very slowly, and very unhelpfully was a list of accusations. (1) It was my fault as I must have clicked on something, (2) it was my “machines” fault, (3) it was my security software’s fault, (4) it was my OS’s fault, (5) if SSL/Open VPN did not work I should be happy that PPTP and IPSec did, (6) I should downgrade to an older version of their software and see if that works ..at the same price of course, (7) while they tell you to check out the wiki the tech guys (joke) tell you that the wiki is actually old rubbish that does not relate to the latest version, (8) they tell me that I should format my PC HD and then reinstall my OS and see if Witopia works? Do not go near this rubbish if you are using Win XP Pro SP3 and even if you are using a different OS I can guarantee you, based upon a week of hair pulling experience, that the “tech support” you will get will be absolutely useless and only leave you feeling as frustrated as I am right now. Two tin cans and a long piece of string are a better alternative to WioTopia. Not only my surfing is safer, where I live is not considered a trusty area (war zone) and therefore many of the “monetary” transactions are banned by the banking sites (PayPal, some credit cards, etc)… but not for me, not anymore! I work in places where I need a reliable VPN and I’ve used Witopia for two years on two different accounts on several Macs (MacPros & MBPs) and am about to renew for another year. I never had any problems getting it to work properly with less than an hour of initial set-up time for a computer … usually less than that. I am not real savvy re networks and just follow the instructions that come with the downloaded SW. I have it set up so that Witopia is a start-up item on my Macs and as soon as I connect to the internet, WiTopia automatically opens the OpenVPN protocol and logs on to a server in Vancouver or someplace else I have predesignated. There may be better options but this works for me just fine. Just had a read through your article. Thanks for posting your delirious experience and the insight. I will be ordering Witopia Personal for use here in Europe and now also have an outlet, should I too lose hours of my life. I’ve been a WiTopia customer for three years, and I’m quite satisfied. I’ve never had the sort of nasty run-ins with customer support other people describe–everyone at WiTopia has been super nice to me and helpful. WiTopia’s *documentation* could be a little better, but between a little experimentation, a little customer service help, and a little, judicious use of SpeedTest, I’ve found an inexpensive, fast, and reliable service provider. I signed up for a year of “pro” service a couple of days ago. I am currently living in SHanghai China. It hardly ever works, and when it does the connection is not stable and tends to disconnect a lot. Most places I can’t even connect to. (they say 31 different connections, I can never connect to them) Most times when I am connected I still can’t access web pages or content. I talked to support they were NOT very helpful by any means. Directing me to a webpage that wasn’t even related to issues I as having. Poor support. also as a side note, you are not able to see the ping, ever. I HIGHLY SUGGEST YOU DO NOT BUY THIS PRODUCT/PACKAGE. Witopia has definitely gone to the dogs. As of 2013 it became pretty much useless on OSX. When you renew your account they force you to install new software and the new software is buggy. It messes up something in the IP or Ethernet stack every time you disconnect the VPN. I need to unplug/plug in the cable each time to everything up and running. WiFi is not affected and most Mac users use WiFi so maybe no problem … but wait … there’s more. In side by side tests with my VPN and others on an otherwise identically configured system, Witopia has by far the worst performance. As of today I use Witopia casually just to cause cost to their company, but when I need to do real work I use a different laptop with a different VPN installed. Come June when Witopia expires, I will not renew it. I do not recommend that anyone use this VPN. Their customer support for solving the Mac OSX problem was abysmal, and they did in fact admit they had bugs they were working on. Working on, just never finished, I see, hence my nastiness in continuing to use the VPN to ensure they’re not getting a free ride from me.